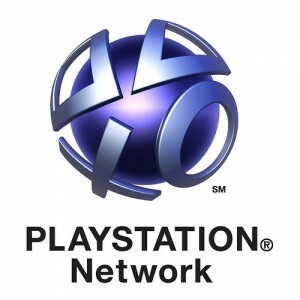 Well as most have heard or encountered the Playstaion Network is down. It has been down for about three days now. Now breath as you read I know its hard. This problem couldn’t have come at a worse time for Playstation either with the releases of Socom 4, Portal 2, and Mortal Kombat this week. I too am victim for I cannot play Socom 4…..it still hurts. Now Sony has come out and said oh we have a server hiccup it should be fixed in two days time. Only it hasn’t been fixed. Several excuses and reasons for the outage have made their way to the web including too much server traffic with the new realses, downloadable games crashing the server, or even a hacker attack. Basically what it boils down too is my games don’t work and I don’t know why….QQ. However there is another theory that needs to be explored. Skynet became self aware on April 19th….coincidence? Hopefully Kevin Butler can fight back the machine invasion and get our servers back online soon because I’m not sure how long people can last. I personally don’t really mind the PSN outage. I can do other things without feeling the need to nerdrage over PSN. I do however feel that Sony should’ve come forward with more information on the subject, rather than letting bits of information trickle through and leaving the rest up to speculation. While I do feel sorry for sony’s customers I don’t feel bad for sony. Sony brought this on themselves when they started messing with the darkside of the internet. They messed with groups who have 10 times more smarts then anyone on their engineering teams and know how to take down a network. While I do agree with the hackers methods I also understand why they are doing it. Sony bit off far more then it could chew and now they are paying the price. Sony used illegal methods to take down a “hacker” who did nothing more then jail break a system he had paid for. IMO sony had this coming. Messing with an every day “idiot” is one thing but messing with high level hackers is another. Hopefully sony will learn something from their mistake. If not I suspect they will have the same issues in the future. If the system fails, we still have board games. Everyone post addresses and then I’ll go buy some maps at local gas stations and then I can send you letters and we’ll all play Risk. Or Pathfinder if you feel like an RPG. according to Engadget.com it was ” Identified as an external intrusion.”…in other words they where hacked and the servers are staying off line for PSN and Qriocity until the breach was indentified….. I guess there always XBL…..until it they finally download Bill Gates’ brain into it and he becomes the MCP….